A new pattern, sort of. The Postcard Skies Quilt Pattern combines all of the Sky Quilts into one quilt pattern. 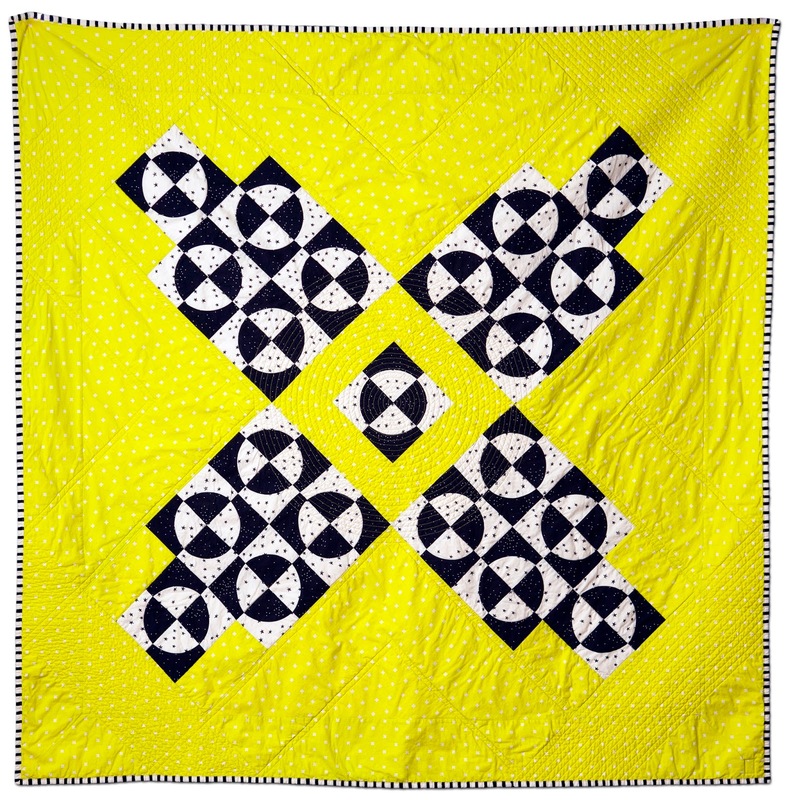 It takes the mini versions from the full size patterns and adds a border, to make a throw size quilt. If you have the full size patterns, you don't need this pattern. The sky sections are the same size. I've just changed the numbering and color requirements. Each Sky Quilt is inspired by something important, a friend's honeymoon (Mountain Sky), my favorite vacation spot (Tropical Sky), our new home (Country Sky) and our hold home (City Sky). This version uses the colors exactly in the Postcard Skies Quilt Pattern. This version uses the colors recommended in each full size pattern. I also made the sashing skinnier because I plan to hang this one up.